All Phase-Changer converters have the "heart" of our new micro-controller technology mixed in with the proven rotary converter principle. This unique formula greatly improves real world performance and reliability, when compared to other converter technologies. At the small end of the Phase-Changer range, the 2.2KW and 3KW converters are offered as a "plug-in to socket-out" design, meaning you simply plug the converter in to a standard 10A or 15A single phase 240V outlet, and you get 3 phase 415V immediately on the 3 phase outlet that you can plug your machine in to. It's as simple as that! All converters from 4KW upwards require hardwiring to a power board fitted with the correctly sized circuit breakers. A comprehensive installation guide is included with your Phase-Changer. Australian Designed & Made in Australia with Local Support and a 12 month warranty and 3 month application suitability guarantee. Suitable for ANY 3 Phase Application with models from 2.2 to 45KW (3HP to 60HP) standard, ideal for multi-load applications or any machine that has electronic controls. Industrial Micro-Processor Controlled Technology, Custom Designed and Built in Australia. "Stress Free" Solid State Capacitor Switching using Industrial High-Power Thyristors - increase operational life of capacitors. Made and designed entirely in Australia - including circuit boards. Designed to be fully serviceable - even in 15 years time. All multistage Phase-Changers are fitted with a digital display which indicates the power level that your Phase-Changer is running at, as a numerical number from 0 through to 8. 0 will be indicated at idle, through to 7 depending on the size of the connected load. A 'Hard Start' is indicated by an 8. While rotary converters have been around a very long time, they still have their place and fulfill a role that VSD's simply can't. While some selling VSD's claim a long list of faults in 'old fashioned rotary converters', the fact is that most of these issues are an exaggeration of the truth. 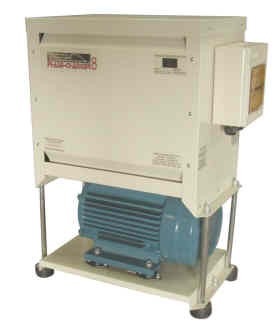 Phase Changers made by us use modern electronic and microprocessor based technology in conjunction with the older traditional basics of rotary converters. They do not have massive over-sized pilot motors and are set up to run with very low energy overheads. As a result we offer a much more efficient and reliable converter, that is easy to apply and connect to all types of machinery. Phase Changers work perfectly well with sensitive electronic controls, they provide PURE, true and clean 3 phase AC sinewave output, and the 3 phase supply is always available to power control circuits so machines operate as normal. Phase Changers, unlike VSD's create no electrical noise, do not require filters and do not require special shielded cable. 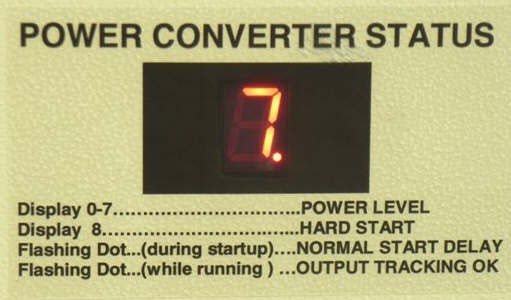 Machines that require a neutral connection (which is many) can also be connected to the output of a Phase Changer. The capacitors we use are NOT standard motor start and run capacitors that are normally used in rotary converters. We have all our capacitors specially made for us, using thicker film to give them a true 600V rating. And of course, our capacitors are all electronically switched, which on its own greatly extends the life of the capacitors. Phase Changers store energy, both in capacitors and in the rotating 'flywheel' motion of the pilot motor. when an external motor load is starting, the Phase Changer automatically releases this energy to help start the motor load quickly and efficiently. A Phase Changer allows you to add machines at a later date with the main consideration being that the load is not more than the output rating of the Phase Changer. In a typical workshop application, one Phase Changer is installed to run a number of different machines. Welders, electronic controls, VSD's as well as more basic motor loads can all be easily powered from a Phase Changer. Rotary power converters within the Phase Change Converters range work differently to purely electronic drive systems. They dont chop and re-combine signal pulses to create a re-constituted 3-Phase, the output is generated within the rotary pilot motor which behaves like a form of spinning power transformer. This means that the output is clean, stable and has a very low harmonic content. The large filters which are compulsorily fitted to all-electronic drive systems are just not needed here. The voltage information shown on this site relates to typical Australian voltages of 240V single phase & 415V 3-phase. These converters are also suitable for 220V/380V and 230V/400V supplies as found in many parts of the world. We manufacture for 50Hz countries only.